Representatives from Kosovo Prosecutorial Council, Office of Head Prosecutor, Anti Corruption Agency and the Disciplinary Committee, have discussed today with a team of three Dutch prosecutors, that will provide professional support for the Working Group, in drafting the Code of Ethics for Prosecutors. Subject of this discussions are the issues that should be addressed in the new Code of Ethics. 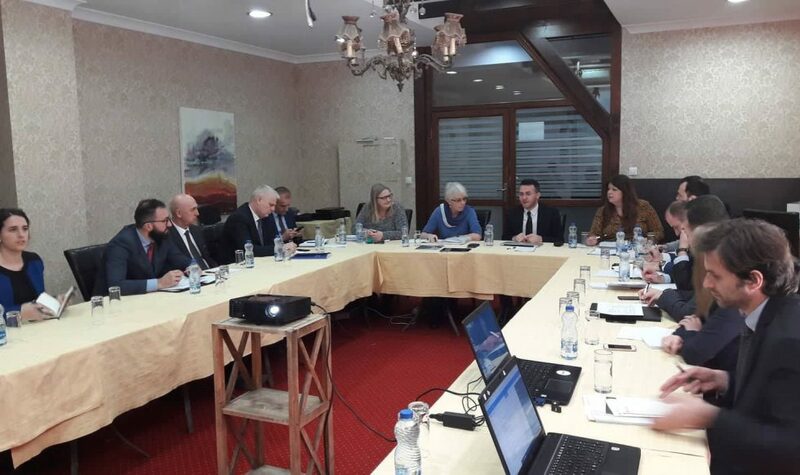 This meeting took place as part of the project “Promoting Integrity in the Justice System in Kosovo”, funded by the Dutch Embassy in Kosovo and implemented by the Kosovo Democratic Institute (KDI), the Center for International Legal Cooperation (CILC) and the Movement (FOL).